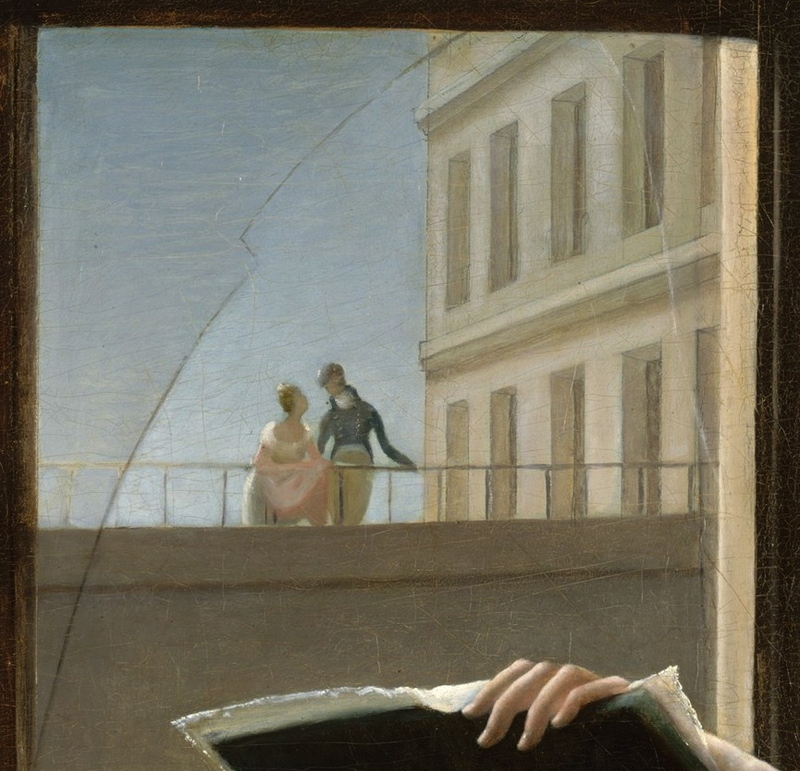 It is not 100% certain whether this Young woman drawing is actually a self-portrait. Before it was finally attributed to Marie-Denise Villers (1774-1821), it was believed to have been painted by Jacques-Louis David. When this opinion was challenged, the work’s value plummeted. Nevertheless, the Met decided to keep it where it was — and with good reason. If this is indeed a self-portrait, it is particularly enigmatic, even beneath its apparent clarity. 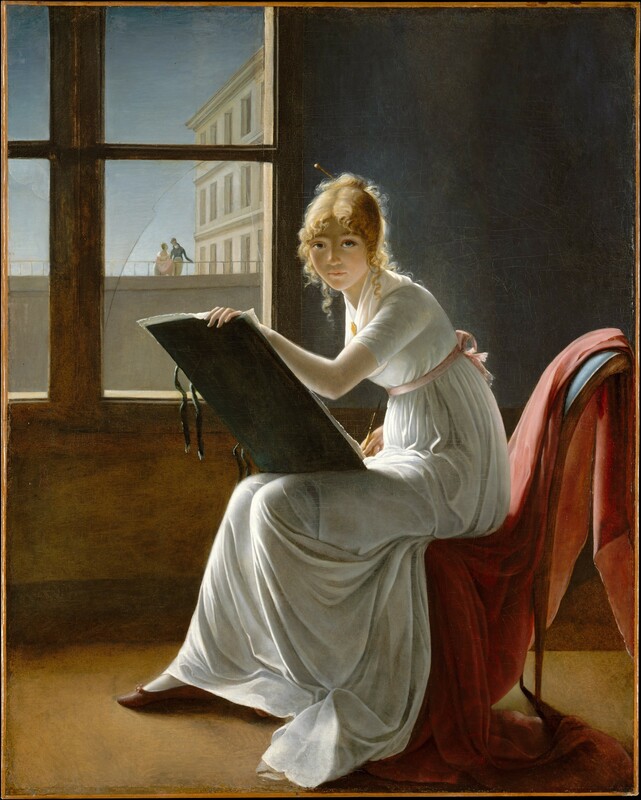 It is in fact quite rare to see the artist drawing with her right hand (and not with the left, as her reflection would appear in a mirror); moreover, her figure is unusually set against the backlight, as if the window is meant to illuminate not the artist, but a model before her. These two details, combined, give the impression that she might be portraying someone in front of her — that is, you.